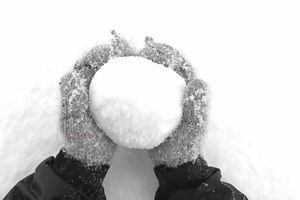 Who knew one needed legal permission to throw snowballs? Thanks to the comical overreach of government, that’s exactly what Severance nine year-old Dane Best recently discovered. So he set a path to change the laws of his Weld County hometown, culminating with an appearance before the Severance Town Board on Monday night. These are actual questions from members of an American town’s board to a nine year-old kid. You’d think the young man was asking to conduct nuclear weapons testing on the campus of the University of Northern Colorado. Eventually, Dane won. Kids can now have snowball fights in Severance without any worry of being sent to Gitmo. We should only hope that Dane smacks us in the cheek with a snowball the next time we’re up his way. It’s the least we owe him.